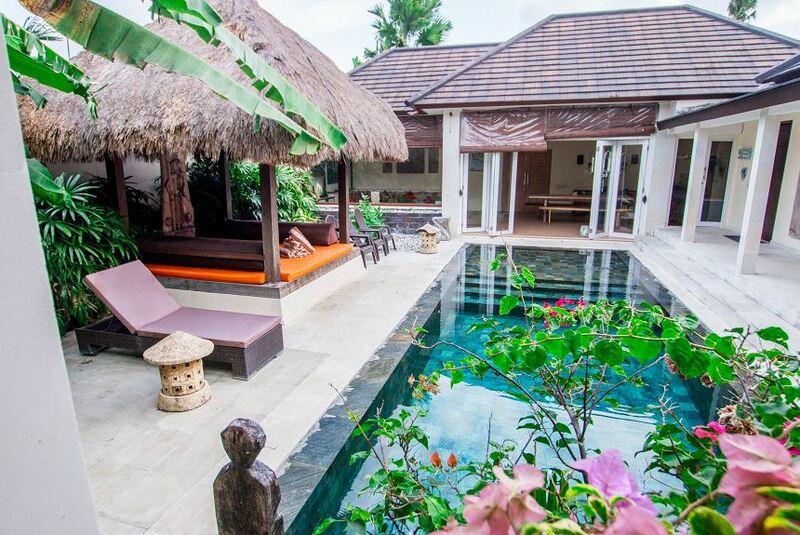 Villa Matahari is the perfect choice if you are wishing to spend time in Bali, a tropical paradise. It is a luxurious villa and can comfortably accommodate 5 people. There are two luxurious destinations in Bali - Oberoi Street and Petitenget Street. The villa has a quick access to both of these places. You will find the streets with an incredible combination of trendy boutiques, well known and famous restaurants, and a host of nightclubs. They are all within walking distance of the villa. Since you do not require a taxi to go to these places, you can set the pace according to your wish during the course of your stay here. It ensures an easy and relaxed holiday and you will want to revisit this amazing destination place. As for the villa, it has a very stylish interior, making it stand out from other villas. It has a considerably spacious living room which can be transformed into an open area or an air-conditioned area. Inside, there is a kitchen with a huge dining table.